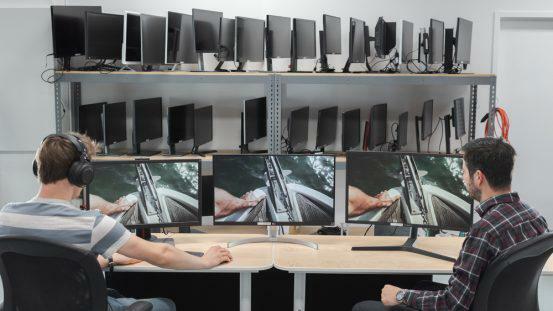 Not all PC gamers are made alike, and neither are PC gaming monitors. From 1080p monitors with ultrafast refresh rates to standard 60 Hz monitors with impressive 4k screens, there is something for everyone. 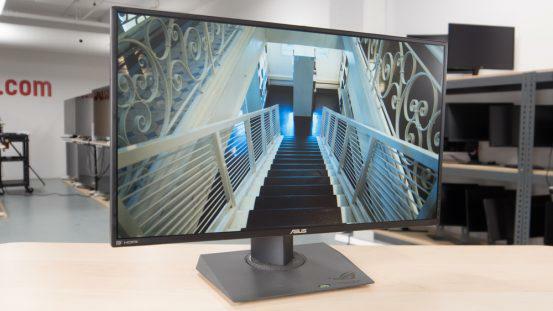 While any monitor can be used for PC gaming, the best monitors give you an extra edge in competitive gaming, and many of them have impressive designs that stand out in a room. We’ve reviewed 55 monitors, and below are our top 5 picks for the best PC gaming monitors available for purchase in 2019. If you have an NVIDIA graphics card, the ASUS ROG Swift PG279Q is the best G-SYNC PC gaming monitor that we’ve tested so far. It delivers decent overall picture quality, with great wide viewing angles, perfect for coop gaming. It delivers crystal clear motion thanks to the outstanding response time and flicker-free backlight. It has an outstanding response time and excellent low input lag as well, and with NVIDIA G-SYNC, you get a consistently tear-free gaming experience. Unfortunately, the PG279Q doesn’t look as great in a dark room, it doesn’t support HDR, and the G-SYNC variable refresh rate isn’t compatible with the Xbox One. Overall though, it is an outstanding PC gaming monitor that should please most people. If you have an AMD graphics card, the Samsung CHG70 is the best FreeSync PC gaming monitor that we’ve tested so far. It has a high contrast ratio and delivers good overall picture quality, and it has a high refresh rate that is great for gaming, as well as extremely low input lag. The CHG70 is also great if you like to mix things up a bit with the occasional Xbox One S/X game, as the Xbox now supports a 1440p mode and has FreeSync VRR support. It has a pair of HDMI ports and one DisplayPort, so you can easily hook up your PC and a console or two, making it a versatile monitor great for gaming, regardless of what you game on. 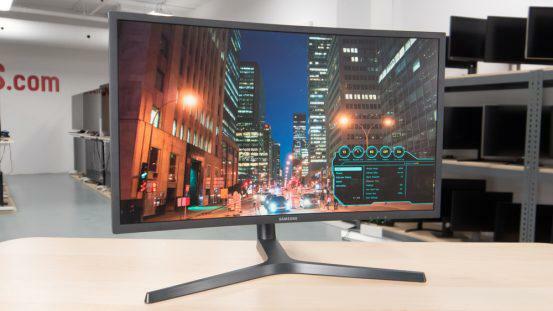 Unfortunately, the Samsung CHG70 has narrow viewing angles, so it isn’t as great for coop gaming, where one or more people may be sitting at an angle to the monitor. Overall though, the CHG70 is an excellent gaming monitor that should please most people. 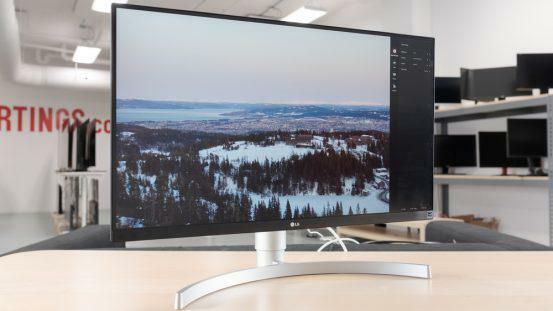 If a high definition image is more important to you than smooth motion, the LG 27UK650-W is the best 4k PC gaming monitor that we’ve tested so far. The 27”, 4k screen delivers a more immersive gaming experience, bringing out the smallest details in your favorite games. It has excellent low input lag, even if you decide to dial down the resolution for smoother gameplay. Fast moving objects look great thanks to the fast response time, and it supports FreeSync, great for PC or console gaming, and you can easily switch between them thanks to the dual HDMI 2.0 ports and DisplayPort connection. Unfortunately, due to bandwidth limitations, the 27UK650 is limited to a 60 Hz refresh rate, which may disappoint some gamers. Overall though, it is a well rounded 4k monitor that should please most people, regardless of usage. 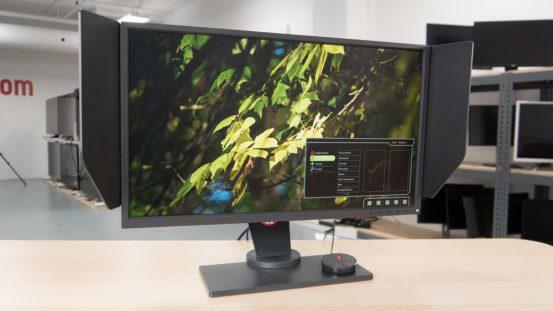 If you prefer smoother motion over a higher resolution display, the BenQ Zowie XL2540 is the best 1080p PC gaming monitor that we’ve tested so far. It is an excellent 1080p gaming monitor with an impressive 240 Hz refresh rate. This lightning fast refresh rate delivers outstanding clear motion, thanks to the fast response time and flicker-free backlight. Combined with FreeSync support and an incredibly wide VRR range, the Zowie delivers motion performance that should please even the most demanding gamers. Unfortunately, the Zowie has a TN panel, which results in narrow viewing angles and poor dark room performance, making it a somewhat less versatile choice than our other top picks. 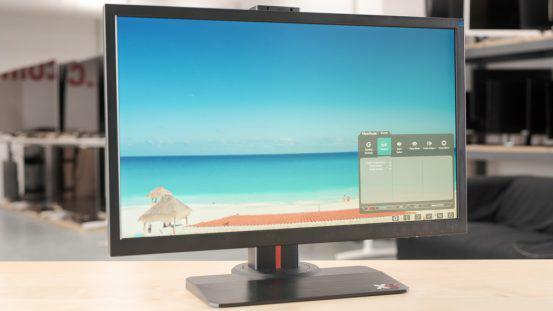 If you’re looking for a good PC gaming monitor on a budget, check out the ViewSonic XG2402. For a budget monitor, it delivers surprisingly good gaming performance thanks to the decent picture quality and outstanding motion handling, as well as outstanding low input lag. It has a fast 144 Hz refresh rate, and it delivers clear motion thanks to the extremely fast response time, one of the best we’ve tested. The XG2402 also supports FreeSync, great for PC or Xbox One gaming. The 1080p resolution doesn’t deliver the most immersive gaming experience, and unfortunately, like the Zowie XL2540, the XG2402 has narrow viewing angles and doesn’t look as good in a dark room. Overall though, it is an impressive budget gaming monitor that should please even more demanding PC gamers.